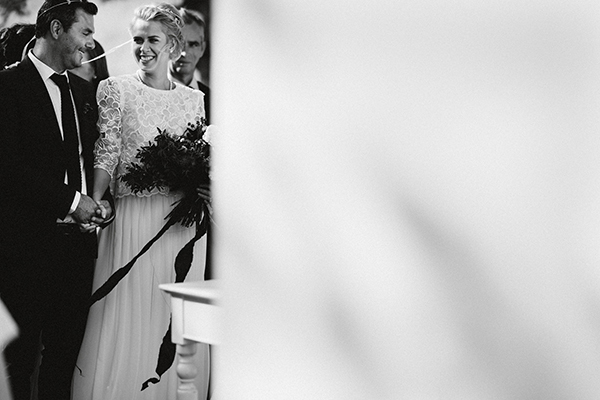 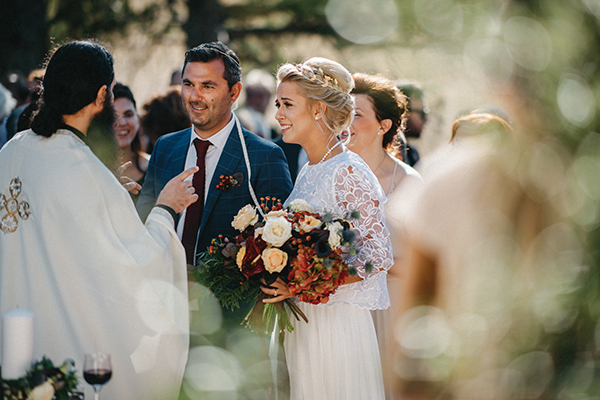 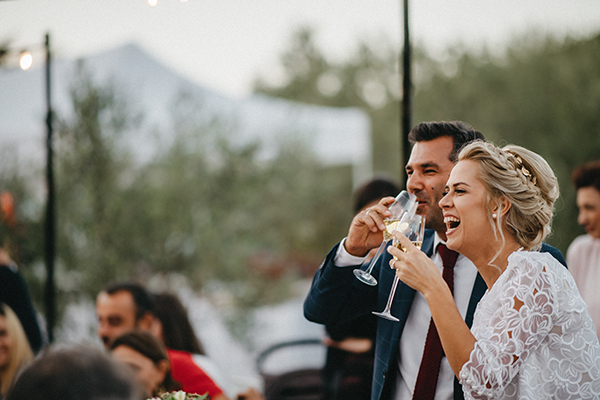 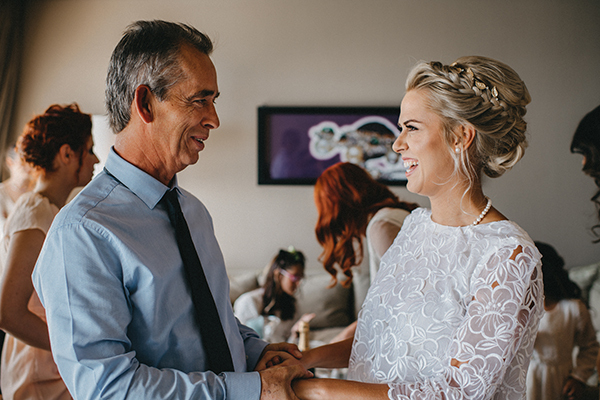 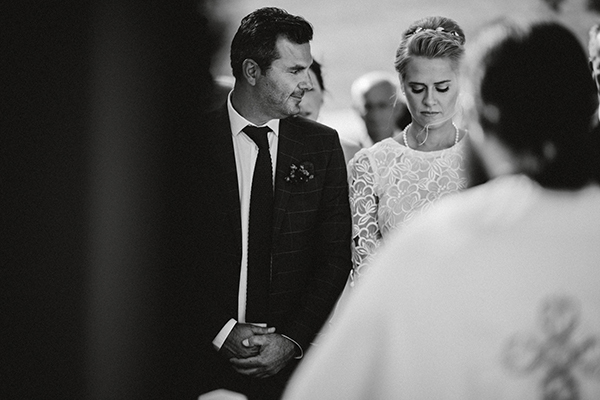 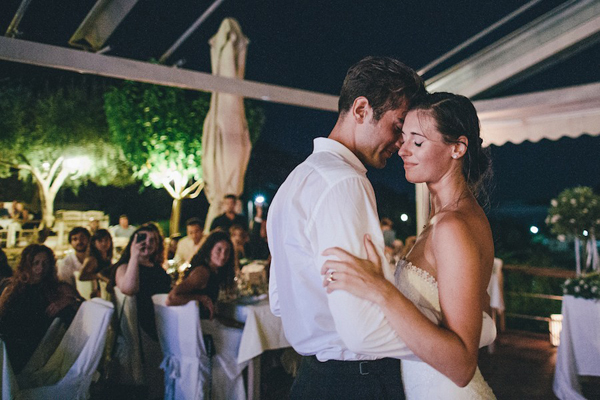 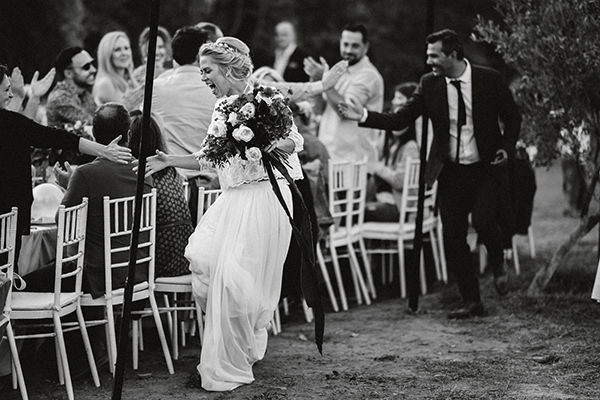 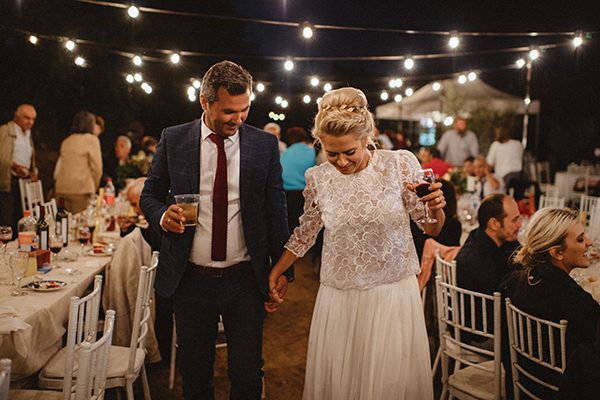 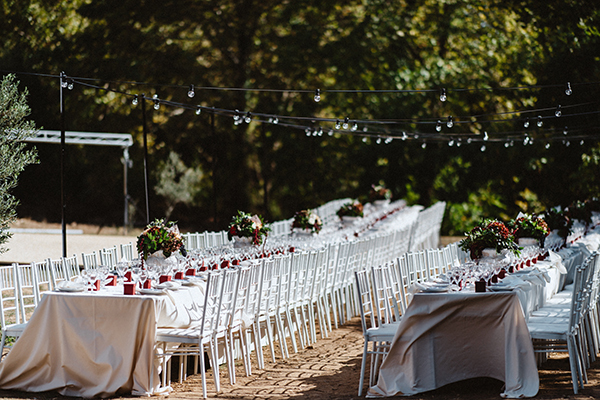 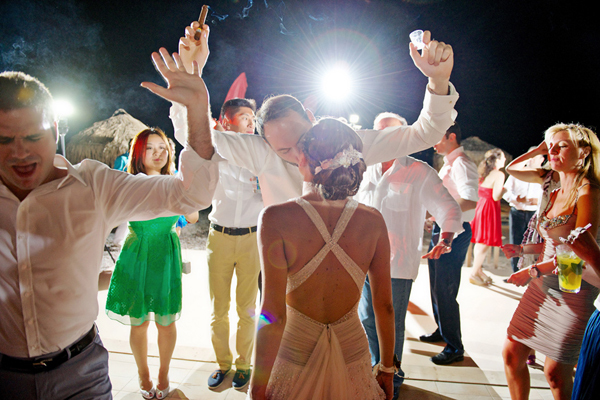 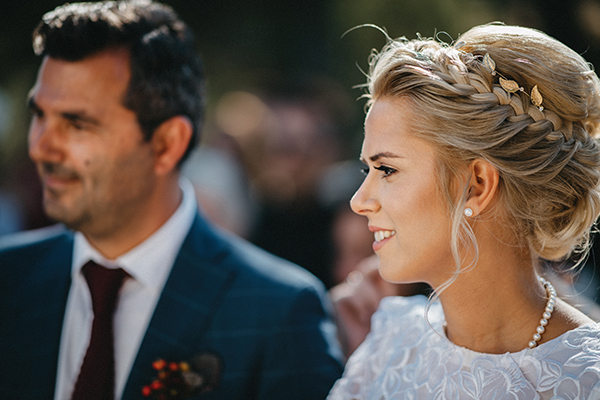 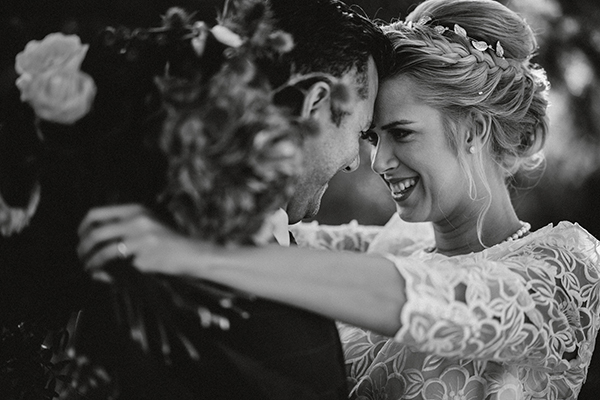 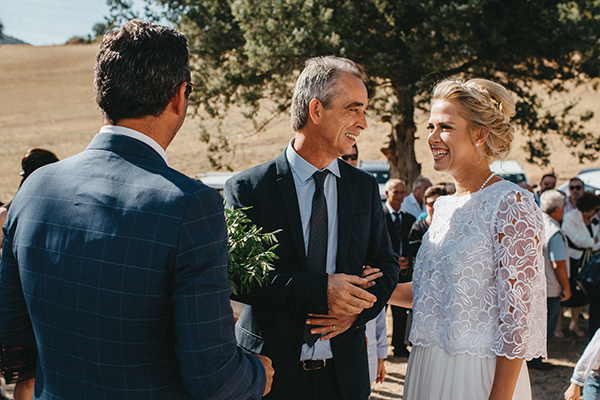 Only one word can describe a wedding like this…fairytale! 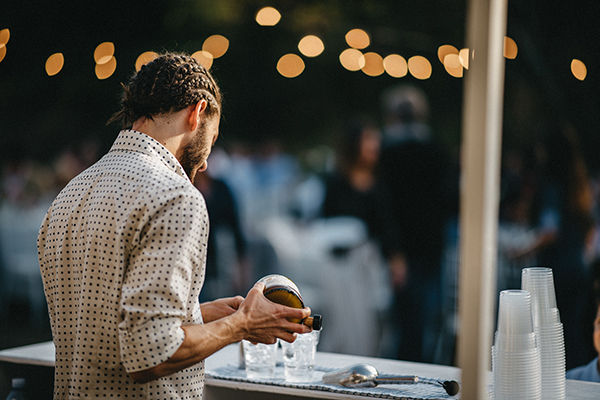 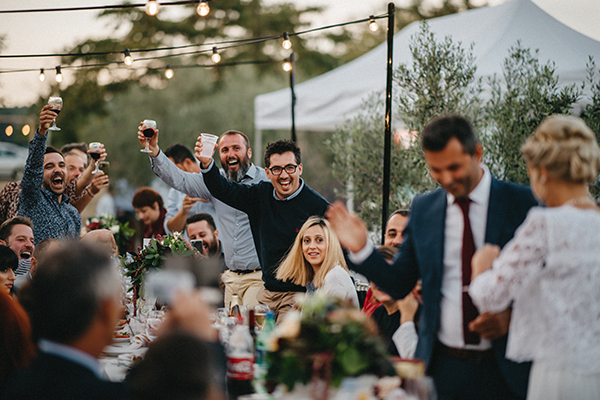 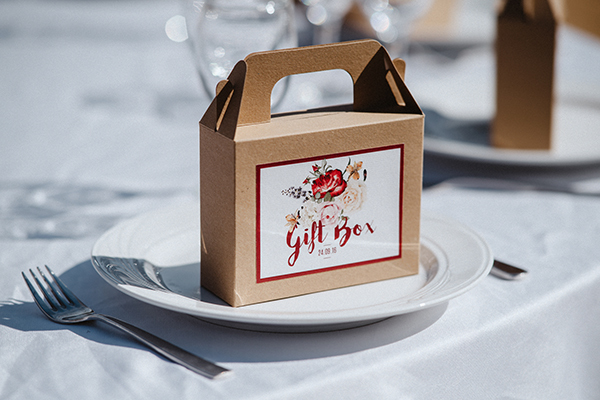 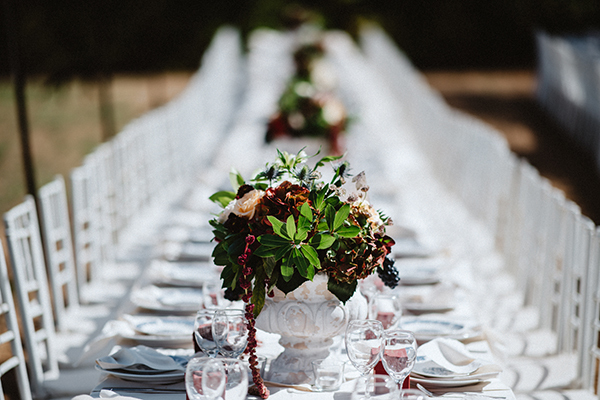 When the bride is a wedding planner, the wedding is always unique! 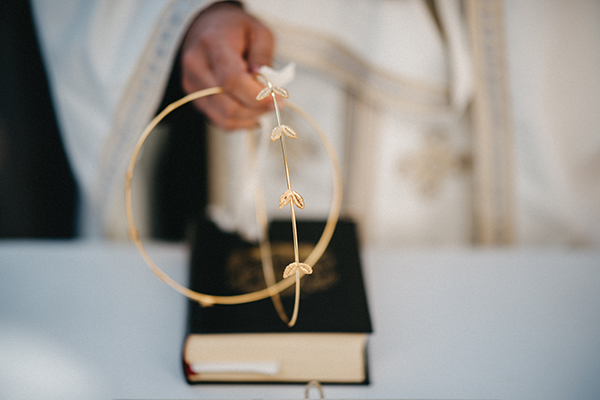 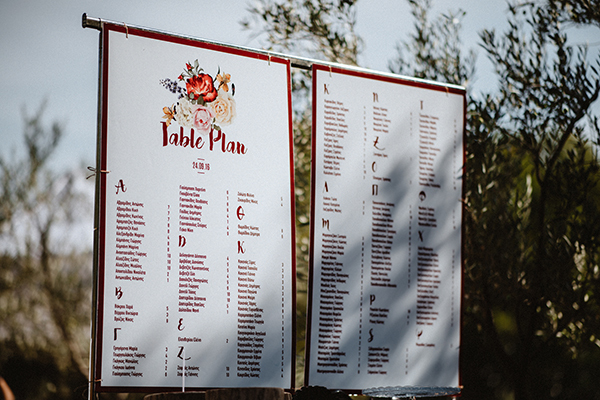 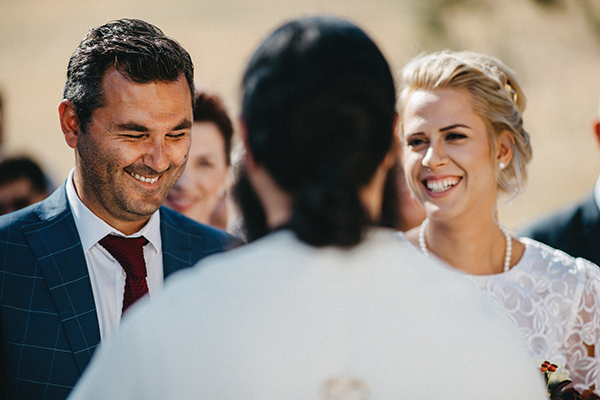 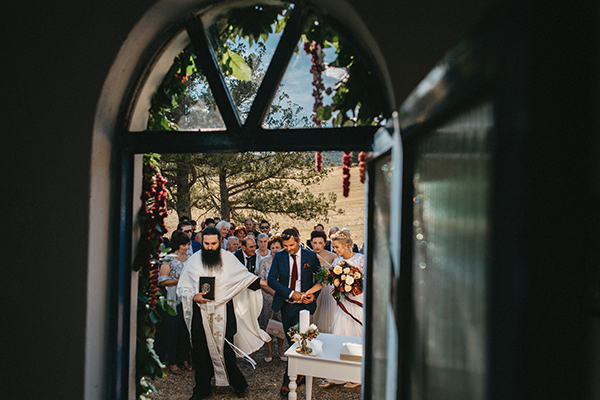 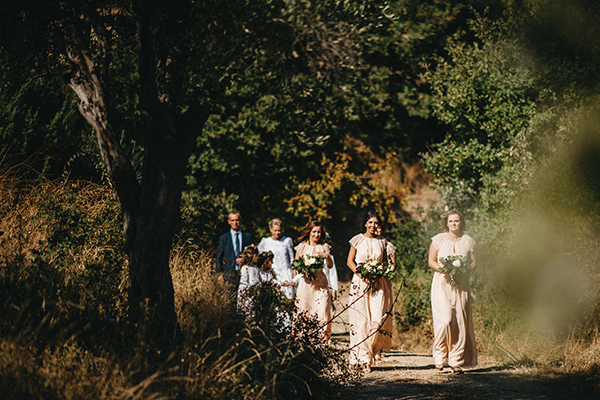 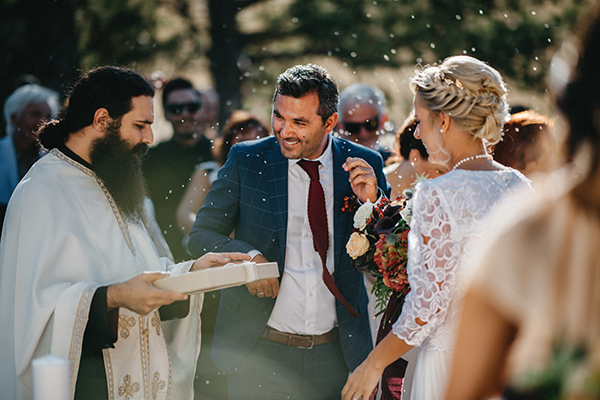 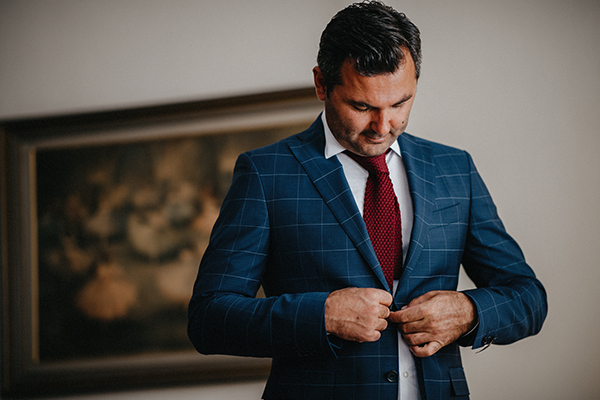 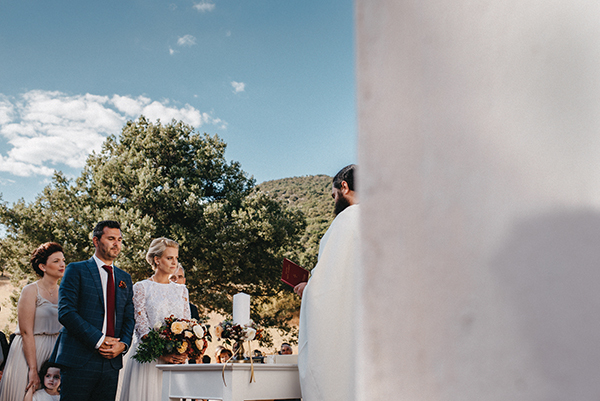 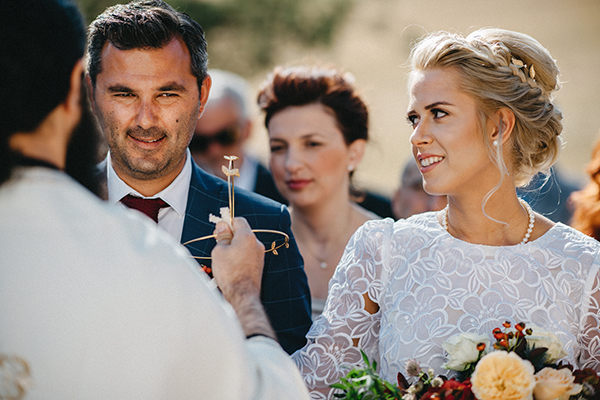 Today we are sharing the wedding of Christina, the wedding planner of My Wedding which took place in the old chapel of St. Athanasius, in Avanta village. 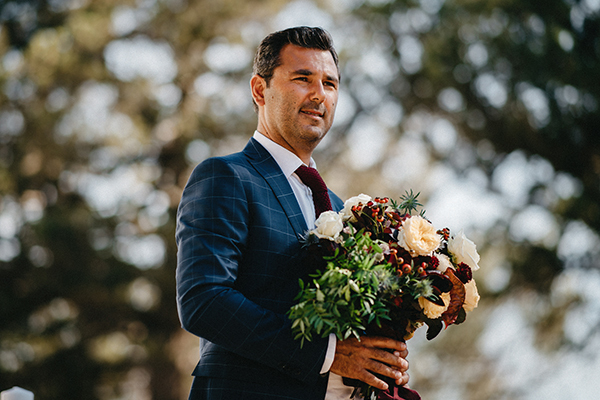 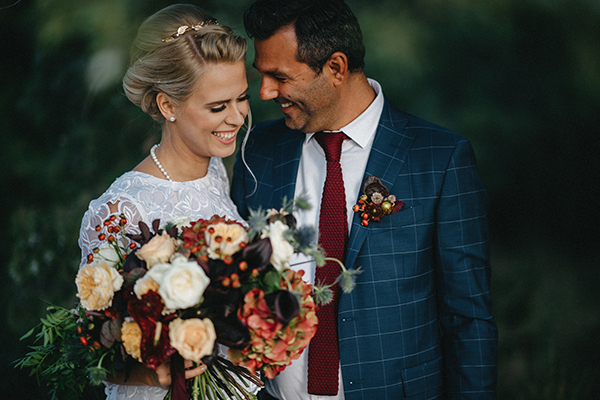 A sophisticated, elegant wedding with burgundy, peach, gold and blue color tones combined with black grapes and pomegranates. 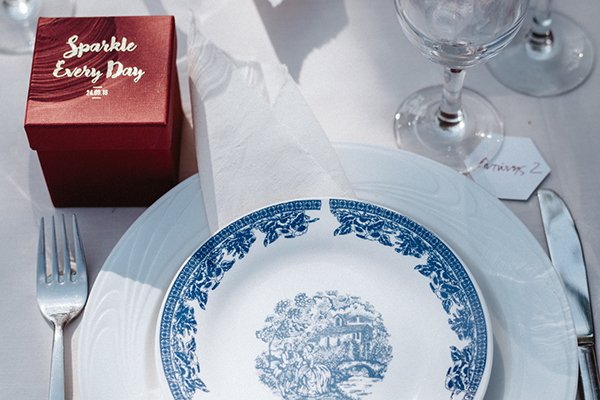 All together, create an extremely gorgeous Victorian style decoration! 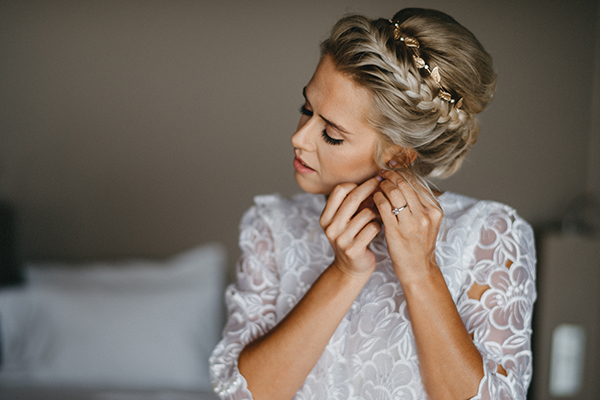 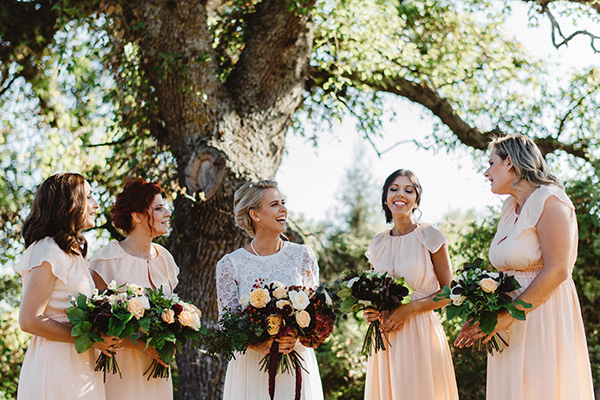 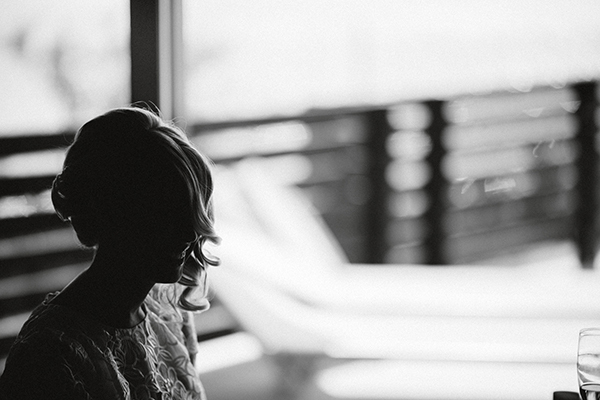 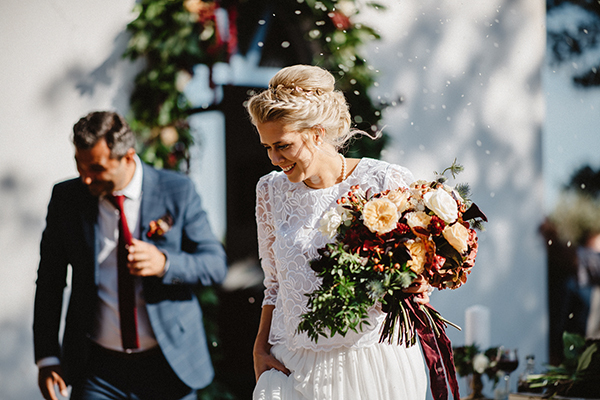 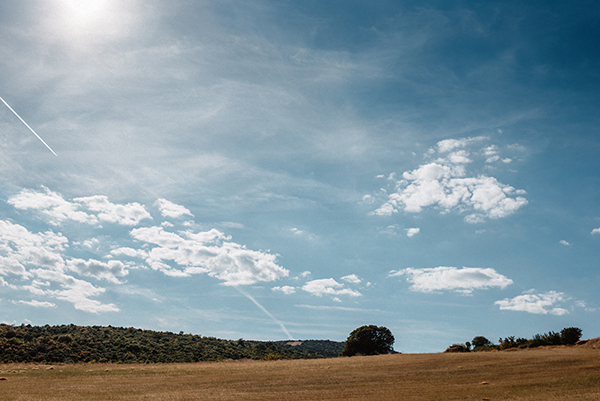 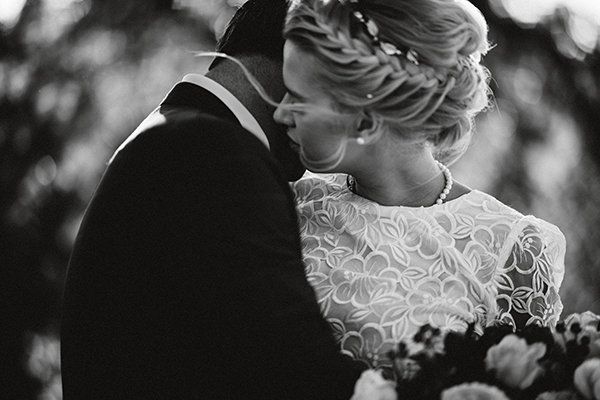 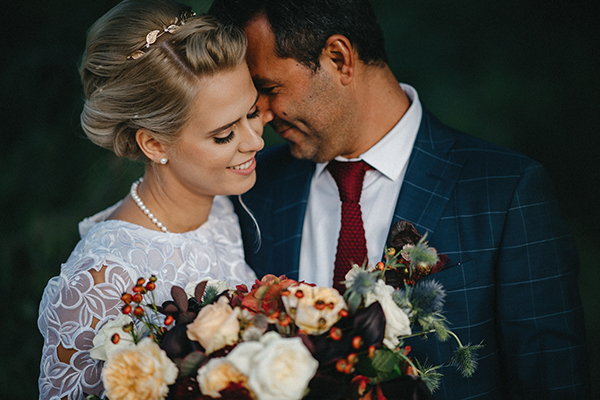 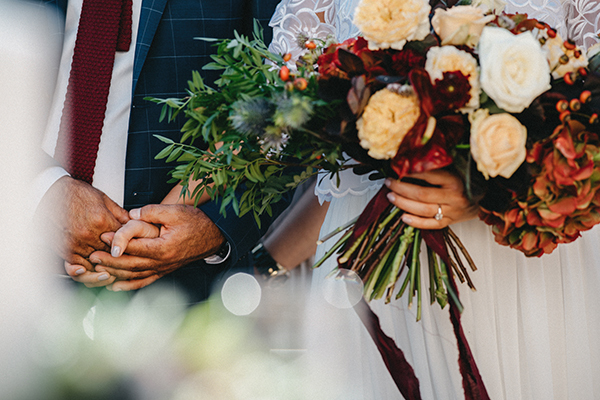 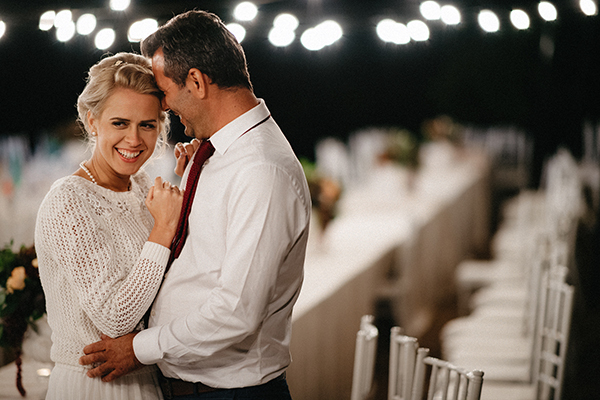 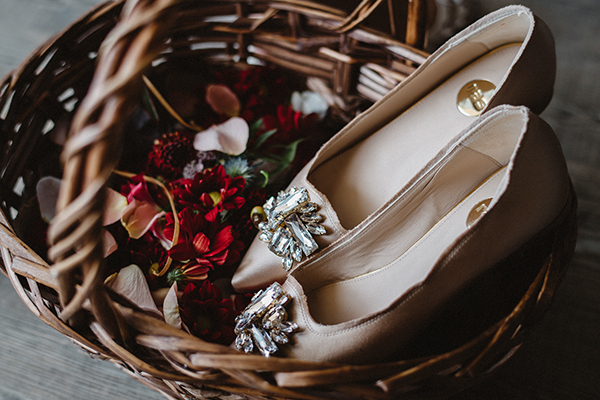 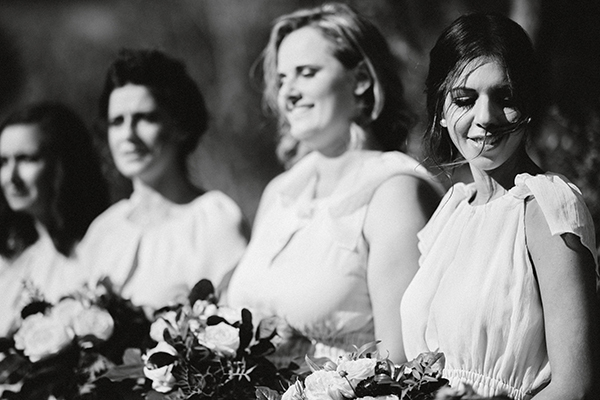 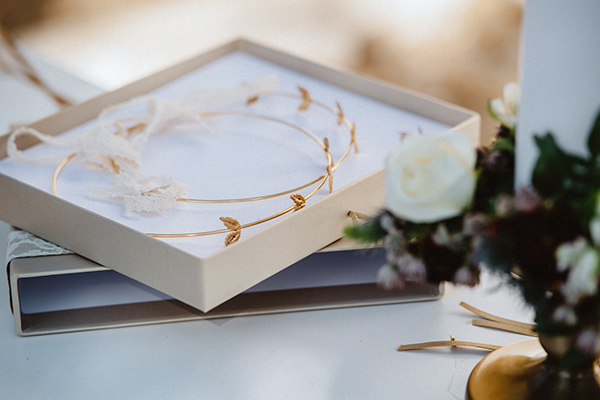 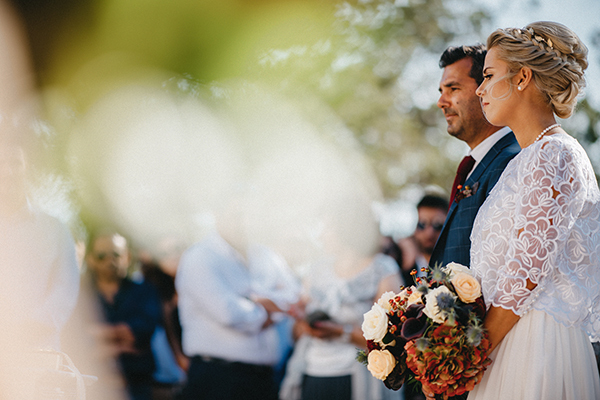 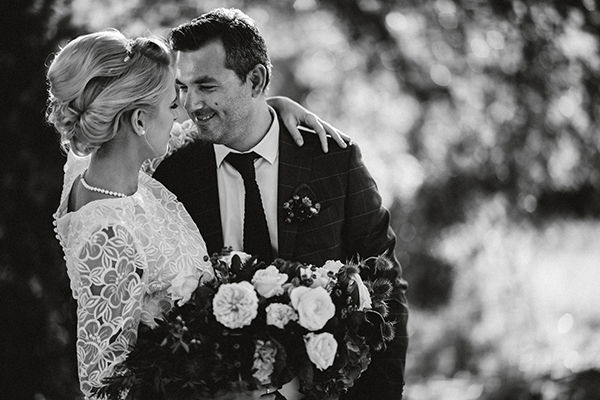 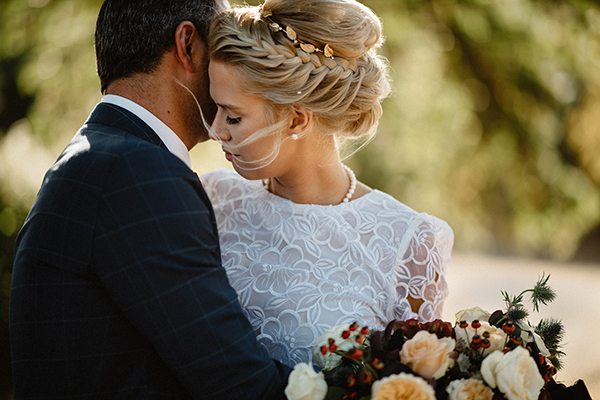 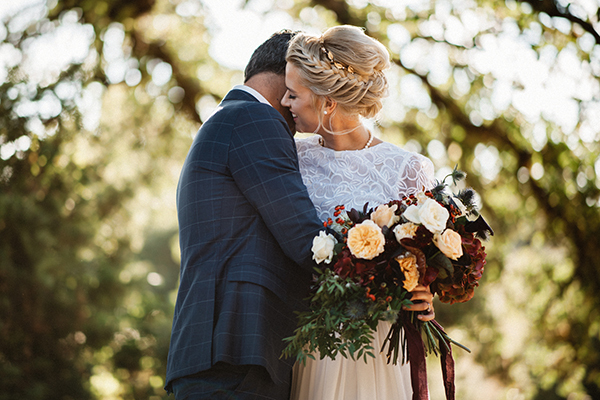 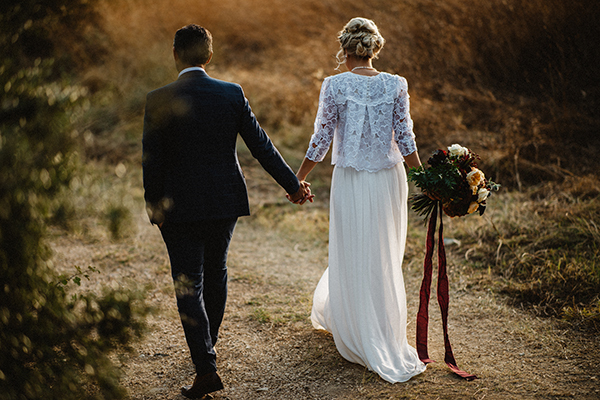 Enjoy the lovely fall wedding beautifully captured by Artographer.